Home Campaigns Digital marketing trends that 2016 (so far) has taught us! Digital marketing trends that 2016 (so far) has taught us! Would it be anything new if I said that digital marketing is evolving? It is quite obvious that it is with each passing day. Digital is changing and people are embracing it with open arms! 2016 saw many new trends and it came to be a great year for all the online businesses that put their feet forward to stay ahead of the curve by adopting these new and effective digital marketing. Google announced that mobile traffic had outdone desktop traffic in 10 different countries in the year 2015. In 2016, mobile dominated the online marketing platform to become the unbeaten king. Increase in mobile traffic points towards the changing consumer’s behavior. Consumers are now looking for quick and more accessible ways to consume information and interact with the people around them. With more and more people buying smartphones, internet surfing on smartphones is on the rise. To be more consumer-friendly, businesses have no choice but to follow consumer trends and so mobile apps are becoming the talk of the town. A mobile app has now become a necessity for businesses that are looking to score online. 2016 made it clear that email marketing is here to stay. The rise of social media and the online messaging apps have many a times questioned the future of email. But, email marketing has its own secured place that cannot be encroached upon. Email is a great business communication tool that is here to stay. Remarketing took the center stage! Remarketing is tagging the visitor to your site and targeting them with your content long after they’ve left your site. 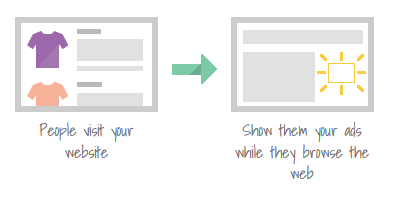 This practice helps to reengage your visitors and bring them back to you. But to remarket content you will need to give your visitors a quality experience with something unique and new to engage in. This engaging piece of content could be the reminder that will take them back to your site and initiate a purchase. Video became the rising star! YouTube can never go boring; even Facebook videos are viewed massively. People love to watch videos online, which emphasizes on the fact that anything visual is more engaging that plain text. If you wish to stay ahead in competition in 2016, try to find ways to present information to your audience through interesting and entertaining videos. Previous articleIs Reliance ushering A New Era In Telecommunications? Next articleThe aftermath of JIO!